How to install Microsoft Teams desktop version on Windows 7? I am tired of using Microsoft Teams Web version. 1. Open a Web browser and go to: https://teams.microsoft.com/downloads. 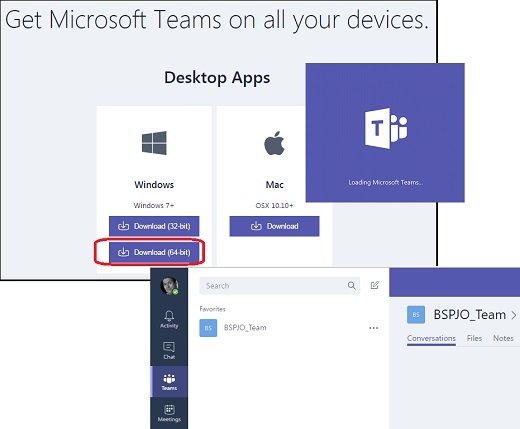 You see the Microsoft Teams apps download page showing up. 2. Click on the "Download (64-bit)" button in the Windows sections. You see the file download prompt showing up. 3. Save the download file, Teams_windows_x64.exe, to C:\fyicenter folder. It will take some to finish the download, since the file size is about 76 MB. 3. Double-click on the downloaded file: C:\fyicenter\Teams_windows_x64.exe to start installing Teams for Windows 7. 4. When the installation is completed, you see the Teams loading windows. 5. 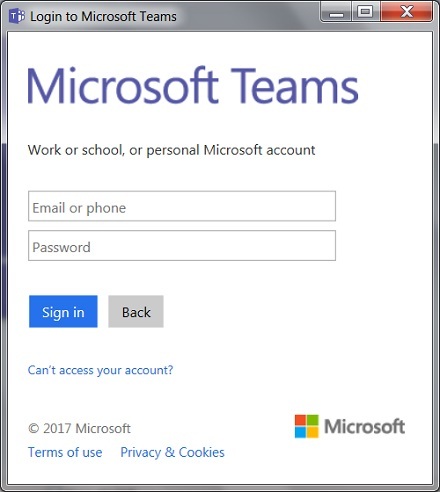 When the loading is completed, you see Teams logs in automatically with you Windows account.